It’s Halloween time again, and you really want to decorate in a spectacular fashion. The highlight of any Halloween decorations has to be a wonderfully carved Halloween pumpkin. But perhaps you are unsure of how to really upgrade the design of your pumpkin. How can you really make your Halloween pumpkin stand out? The answer is easy; use a pattern to help with the carving on your Halloween pumpkin. By using a pattern, the design is done for you, and all you have to do is follow along. But do not be overwhelmed by this crafty notion because here are some tips for using patterns to carve your Halloween pumpkin. By finding and using that perfect design you may just have the Halloween pumpkin that stands out above the rest. You may be asking yourself-Where do I even find patterns to use for carving a Halloween pumpkin? There are a multitude of patterns on the web for pumpkin carving. These patterns range from Disney characters to the scariest patterns you could think of. A huge benefit of these carving patterns is that they come in a variety of skill levels from beginning to advanced. And the best part of all is that most of these patterns are free! Many of these craft sites continue to add new patterns each week up to Halloween so you will want to check periodically to see if there is something new you want to try. You simply download the pattern according to the directions given at the site, and you are ready to go. Once you have decided on what pattern you want to use there is the skill level to consider. Several patterns have differing levels of skill. If you are a novice pumpkin carver you may want to choose a beginner pattern to start with. If you want to tackle something a bit more difficult there are advanced patterns with intricate details. A single pattern can be shown in a novice, intermediate and advanced level with added detailing, shadowing and contouring as the skill level increases. This is great way to practice pumpkin carving since after you master the basic design you can move on to a more advanced level of the same pattern if you wish. 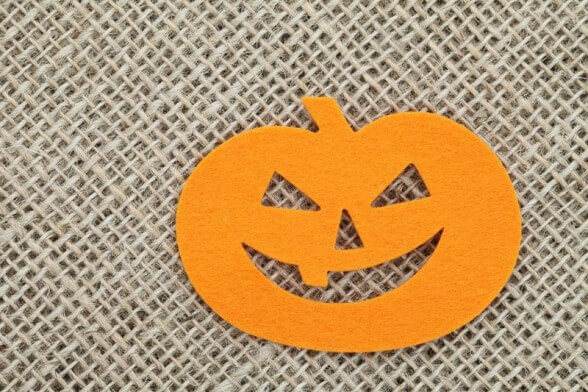 After you have chosen your pattern, printed it out and copied it to the right size for your pumpkin, then you can begin the placement of the pattern. Experienced pumpkin carvers are known to use a variety of tools to tack the pattern to the pumpkin for tracing or placement. You can attach the pattern with clear tape or push pins making sure the placement is what you want. After you have secured the pattern you can go over it with a sharpie to detail your pattern. After you have carefully traced each line in the pattern you then carefully remove the pattern and you should be set to carve the very best Halloween pumpkin ever!